HydraFacial MD® is an invigorating multi-step treatment that uses patented technology to cleanse, exfoliate, extract and treat the skin and can be given in as little as 30 minutes. It delivers long-term skin health and can be tailored to meet the specific needs of all skin types. 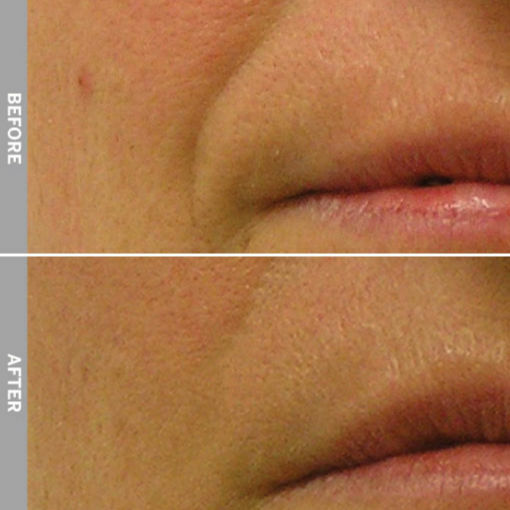 It offers instant, noticeable results with no downtime or irritation. The HydraFacial MD® treatment removes dead skin cells and extracts impurities while simultaneously bathing the new skin with cleansing, hydrating and moisturising serums full of antioxidants & peptides. The treatment is soothing, refreshing, non-irritating and immediately effective. What is HydraFacial Skin Health For Life? The unique HydraFacial philosophy of Skin Health For Life is about not just improving the appearance of the skin, but truly restoring youthful, healthy skin. It uses advanced, patented vortex technology to deliver botanical ingredients with the most desirable nutrients such as hyaluronic acid, horse chestnut seed extract, red algae extract, copper zinc and magnesium peptides. It is also packed full of the most powerful antioxidants which work to counteract the damage of free radicals – caused by pollution, sun and stress – which can damage the skin, accelerating the ageing process. The HydraFacial is a treatment that everyone can have. The great news is that because it restores and rebuilds the health of the skin it delivers immediate visible improvement, and what’s more is the treatment can be tailored to treat any specific skin concerns you may have. Can HydraFacial be used on areas of the body, not just the face? Yes, HydraFacial can be used on most parts of the body and is most commonly used on backs and buttocks for those suffering with oily/congested skin in these particular areas. How does HydraFacial actually work? The unique Vortex-Fusion® serum delivery system is what sets the HydraFacial MD® apart from other procedures. The multi-step treatment cleanses, evenly exfoliates and extracts to remove impurities and dead skin cells while at the same time replenishing vital nutrients including Antioxidants, Peptides and Hyaluronic Acid, for results you can see and feel instantly. Dead skin cells are gently exfoliated to reveal healthy, new skin whilst simultaneously, a serum containing lactic acid, glucosamine and many botanical extracts are delivered to cleanse and nourish the skin. What are the different types of HydraFacial? The Skin Health for Life treatment involves the six key stages: Detox, Cleansing & Exfoliating, Brightening, Extraction, Hydration and Rejuvenation. The HydraFacial Skin Health for Life treatment uses super-serums filled with antioxidants, peptides and hyaluronic acid to boost hydration and protect skin from environmental damage, leaving it recharged, renewed, and invigorated. This kind of HydraFacial will help boost hydration, refresh dull skin and protect the skin against environmental factors, leaving it looking radiant. The DermaBuilder HydraFacial helps tackle wrinkles without the use of injectables. This treatment involves the same six stages as the Skin Health for Life but also includes a multi-peptide anti-ageing serum that targets fine lines and wrinkles for a youthful, plumping effect while also enhancing the skin’s elasticity, for visibly noticeable plumping and tightening of the skin. 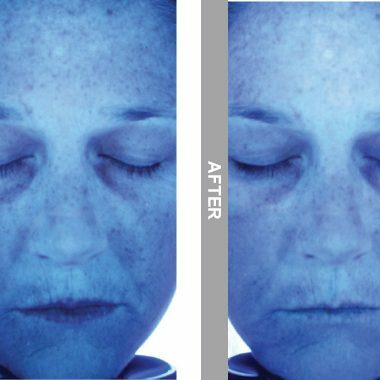 The HydraFacial skin brightening treatment which features the Britenol Vortex-Booster™ is clinically proven to minimise the appearance of brown spots. Specially formulated to awaken dull skin, the treatment targets dark spots and sun damaged areas, leaving skin glowing with a more even complexion. An Acne & Congested Skin HydraFacial involves the same six stages as the Skin Health for Life but also includes a Glysal Peel. This treatment will help to improve active acne by reducing the build-up of excess oils and also improve acne scarring by deeper exfoliation using natural salicylic acid and application of different strengths of GlySal peel. The strength of the peel will be tailored to your needs. 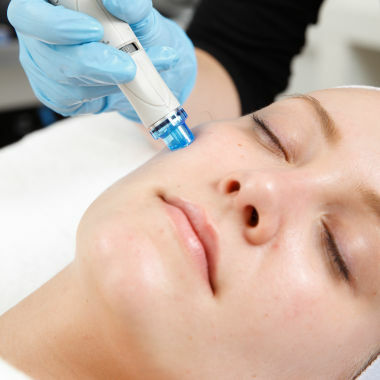 At Sheer Laser Clinic, HydraFacial treatments are only ever delivered by one of our highly trained Aesthetic Practitioners, who will be able to tailor the facial for your needs. What can I expect during my HydraFacial treatment? Following on from your consultation, we would start your treatment by manually cleansing your skin before beginning the first step of the HydraFacial treatment. The HydraFacial is carried out using a hand-held device which is moved around the treatment area using different motions, changing the device tips and introducing different serums for each stage of the treatment. We finish off the treatment by using LED light therapy. Once the treatment is complete, we manually apply a personalised regime of skincare products to your skin. We also ensure you are given the opportunity to view the collection cup connected to the HydraFacial device which will have gathered everything that was removed from your skin during the treatment. The procedure is pain free, with no discomfort. 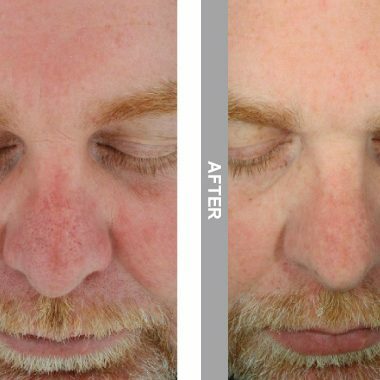 Skin improvements will be seen immediately after just one treatment, with results becoming progressively better after each treatment. What do I need to do after my HydraFacial treatment? You will be given clear aftercare instructions when you undergo the HydraFacial treatment at the Clinic. After your treatment, your skin can appear slightly red, however this subsides within 15 minutes. You may put on make-up and return to your normal activities right after the treatment. SPF 30 should be worn daily following on from the treatment for at least two weeks. It is also recommended that after your treatment, you maintain your overall skin health by using a cosmeceutical skincare regime to protect your skin from further damaging factors such as free radical and sun damage to help promote and achieve optimum results. You will be advised according to your skin assessment and treatment results. 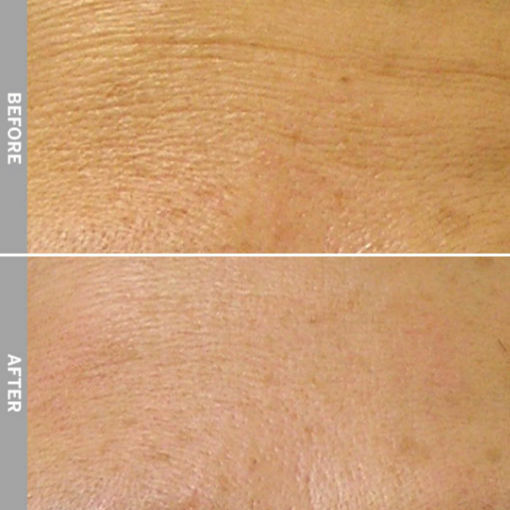 Many clients report seeing visible skin refinement and an even, radiant skin tone after just one treatment. The smooth results and hydration may last 5 to 7 days or even longer, making it an ideal one off treatment for a special occasion or a ‘freshen-up’. However, a series of six to ten treatments are usually recommended for improving the appearance of fine lines, wrinkles, acne and oily skin or areas of hyperpigmentation, with ongoing maintenance treatments every 2 to 8 weeks. A treatment programme incorporating the various serums, growth factors, peel products and LED light will be customised on a per patient basis, depending on the individual skin requirements. What are the possible side effects of the HydraFacial? 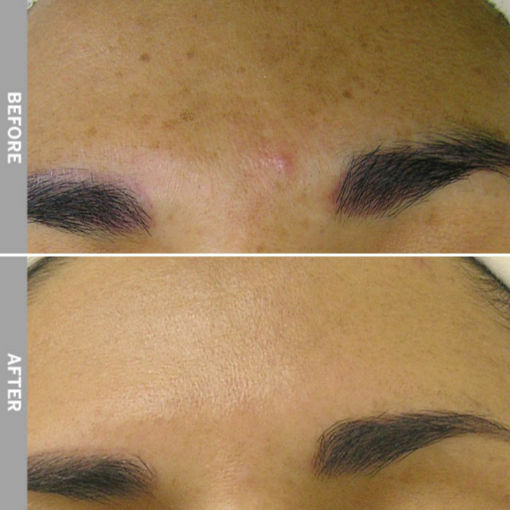 The treatment is usually painless and doesn’t irritate the skin greatly. A few patients may experience some slight tightness and redness of the skin, which may last for an hour or two following treatment. On very rare occasions, redness may continue for a day or so and sensitive skin around the eyes can become swollen, but cold compresses will help to get rid of this side effect. The HydraFacial MD® treatment is designed for all skin types. Even the most sensitive skin easily tolerates the HydraFacial treatment. Your Aesthetic Practitioner may choose specific treatment serums and/or customise the treatment for your unique skin conditions and needs. We recommend that you come into the Sheer Laser Clinic for a free one-to-one skin evaluation so understand your skin concerns and advise you whether HydraFacial would be right for you. At the consultation, we will create a fully personalised treatment plan for you. Who should not have a HydraFacial? 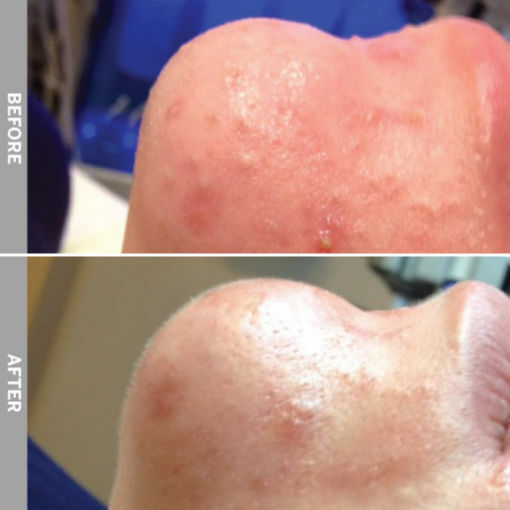 Treatment is said to be safe for most skin types and colours, including thinning or ageing skin, dry or oily skin and ethnic coloured skins; however those individuals who have been treated with Isotretinoin for severe acne within the last 12 months, those with active skin infections, such as herpes simplex (cold sores), or with a history of problems associated with skin healing are not suitable candidates for treatment. Similarly, some medical conditions may be contra-indicated for the lymphatic drainage stage of the treatment protocol. Hence why a thorough medical history will be taken prior to treatment. Yes, HydraFacial can be combined with many other treatments to optimise your results. If this is necessary, you will be advised of what treatments to combine to resolve your skin concerns.